In what way was the centurion’s faith greater than others? 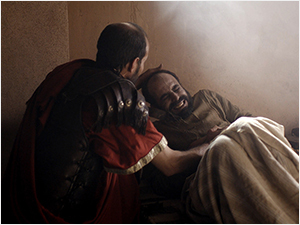 This chapter recalls Jesus’ healing power, his power over nature and the supernatural. Has there been anyone before or since who has evidenced such powers? Imagine if someone claimed to be divine today. What sort of evidence would we expect to see? Would it differ much from Jesus’ time? Wonderful healer, touch me again. Wilt thou not visit my soul once again?